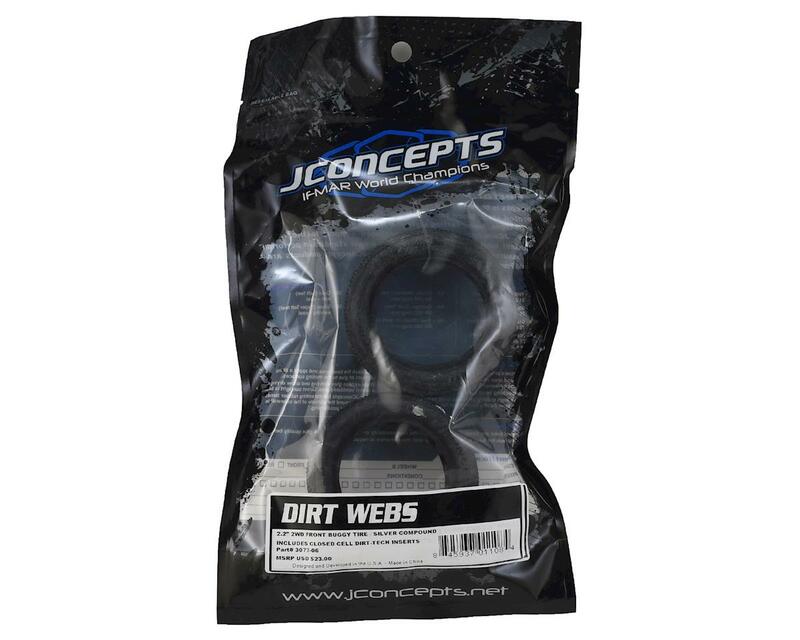 This is a pack of two JConcepts Dirt Webs 2.2 Front Buggy Tires, with And-1 Inserts. 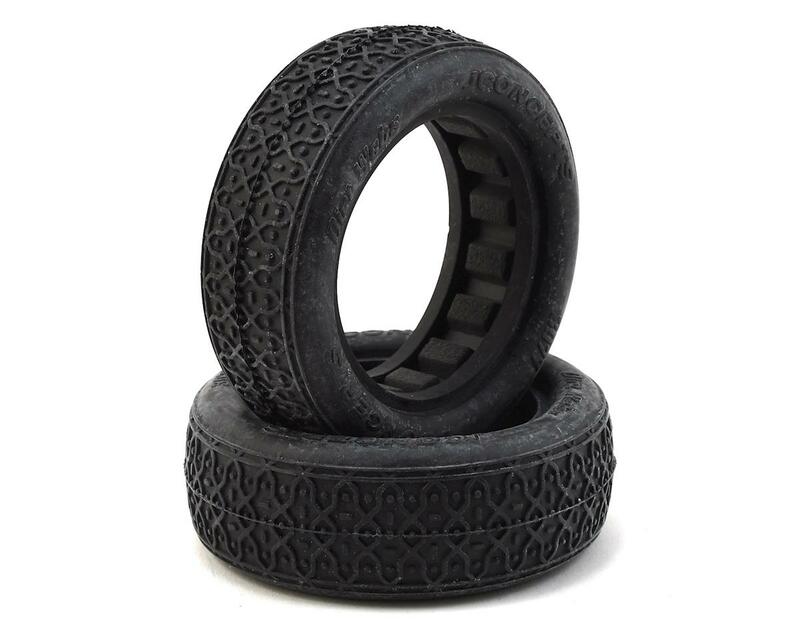 During 2012, legendary tire builder, Brian Kinwald, came up with a hand-made tire design. After testing at tracks around the country and working together with JConcepts designer Jason Ruona, the Dirt Webs tire was born. Production tire versions debuted during the 2013 IFMAR World Championships at Silver Dollar Raceway in Chico, CA, where Ryan Maifield used the front tire to his advantage during the A-Final events taking the fastest lap times on his way to a 3rd overall podium finish in the 2wd class. The tread, originally based on the popular Pressure Points tire design connects uniformly positioned Web-Bars to create an amazingly stable tire. The Web-Bar treatment delivers massive forward acceleration; however, the design does not stop there. Inside the supported bar portion rests horizontal and vertical alternating bars which help balance side-bite and backs up the Web-Bars to help minimize wear. Down in the corners, small Pressure Point sized pins break-in quickly providing surface area for specialty indoor racing and also lend a helping hand to stabilize the tire in extreme high-grip conditions.